My sister had borrowed this book and had said it was nice, so I decided to read it. The story was nice and interesting. It talks about Cosmo, a witch-cat (a cat that had magic sneezes) who lives with his parents and his owners, the Two-Shoes family. The Two-Shoes family were having a baby named Spike but after he comes back from getting weighed, his toenails were clipped off. This had happened in the whole ward of new born witch-babies (children of witches). This was very bad as the toenails prevented the babies from getting sick or ill. Cosmo and his friend Mia decide to investigate it. While this was happening Cleo Cattrap, the famous organizer of cat catwalks happened to pass by and decided to organize a catwalk. Most of the cats were participating in it and the fee was a flea less hairball. Ten cats and kittens were selected for the final. Cosmo and Mia are selected too. Unfortunately, the next day one of the adult cat finalists and Mia disappear. Scarlett, the elder sister of Spike also disappears. Cosmo remembers that he had seen a cottage that had belonged to two evil witches on a ride with Scarlett. That cottage now belonged to another evil witch named Selina Slaughter who was a friend of Cosmo’s previous owner, Sybil (she is now in the Bad Witches Prison). They had seen a witch with toenail clippings enter the cottage which was very fishy. They decide to investigate and discover a horrifying thing. The plot was very simple and easy to understand. 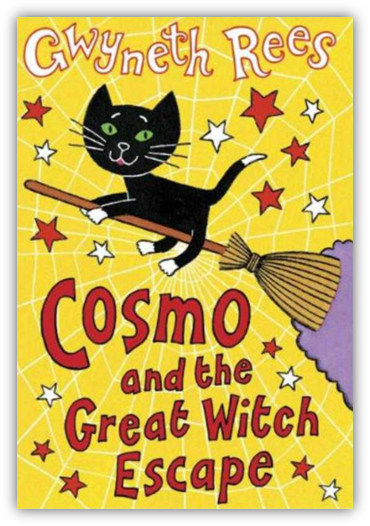 My favourite character was Cosmo because he used his brain and was very helpful. There are two other books in this series and I can’t wait to read them.